No issue is too small! Tigerdile wants to hear your questions, concerns, and suggestions! Tigerdile is an East Coast monster and usually responds between 10 AM and midnight Eastern US time. During Tigerdile's waking period, we try to respond within an hour. We will definitely get back to you within 24 hours though! 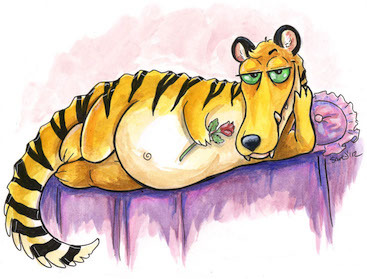 How can Tigerdile love you today?